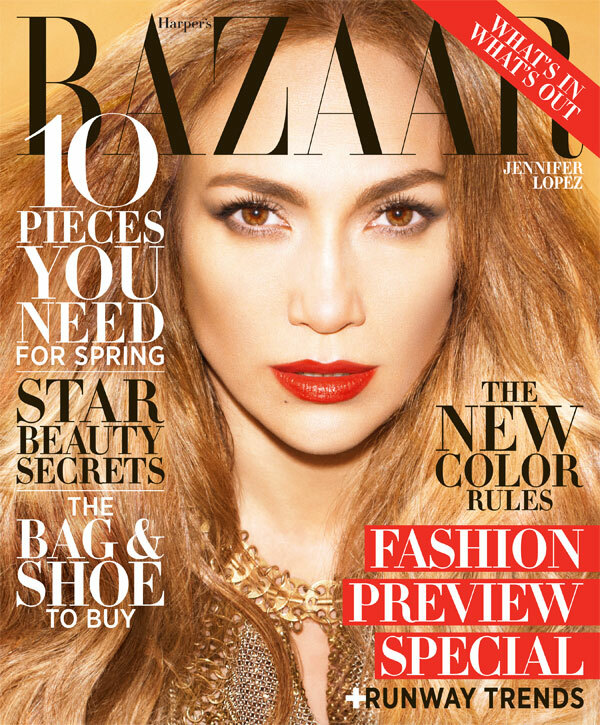 Lush Fab Glam Inspired Lifestyle For The Modern Woman: Magazine Fab: Jennifer Lopez Covers Harper's Bazaar. 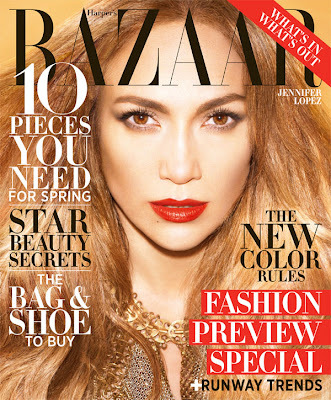 Magazine Fab: Jennifer Lopez Covers Harper's Bazaar. Singer, dancer, actress and mother Jennifer Lopez shows no signs of stopping as she takes a break from her current world tour to pose for her 'fierce in metallics' photo-spread featured in the February 2013 issue of Harper's Bazaar magazine. Inside the issue which hits newsstands on January 8, the Bronx beauty discusses balancing family life with her 4 year old twins and her superstar career and even that infamous Versace dress. Read on to see more fabulous photos of Jennifer in designs by Giuseppe Zanotti, Tom Ford, Jimmy Choo and Balmain with the stunning backdrop of Istanbul, Turkey. Jennifer in metallic gladiator stilettos and a Fendi mini dress. What do you think of Jennifer's Harper's Bazaar photos-spread? Fab or Flub? Leave a comment below.